I love how the world and the characters in this book are so much more than cardboard cutouts. The characters all had their flaws which made them all the more real. The performance was great and kept me not only engaged but completely into the story. This book was good enough to make me go out and buy the rest of the series. I received a free copy of this audio in return for an unbiased review. This series has been absolutely amazing! Such a crazy roller coaster of action and emotion. I’m sad the series is over, but I’m glad it ended how it did.. thank you so much to AJ Eversley for creating such a work of art, and thank you to both Chelsea Stephens and Steve Campbell for such an amazing performance! I absolutely loved it! The very last of the Watcher series was just about perfect. Things work out,no matter what. Chelsea Stephens and Steve Campbell were very good narrators. I was given this book by the narrator,author or publisher free for an honest review. If your streets and the buildings around you were all empty, how would you react? It would be quite lonely, one would imagine–if you were one of the only humans left, fighting against robots for the survival of the human species? That is a lot of pressure for one person to have. 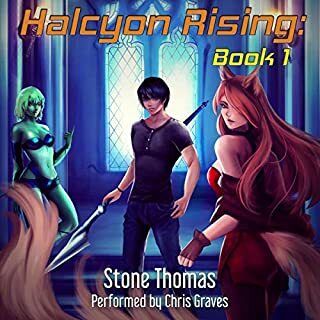 Eversley continues nears the journey to an end with this third installment, one of science fiction and adventure which will pull readers in quickly and keep them hanging on every detail. Sawyer is hanging on by to the small chance that her and her people will survive Coleman’s wrath along with his hundreds of thousands of armed carbons. Her only chance of defeating him once and for all is to enlist help from some unlikely groups in order to build up an army against him. As if the odds weren’t skirting on impossible as is, there is now a new threat that has come to the world that Coleman has created, a disease that is airborne and rapidly infecting carbons. 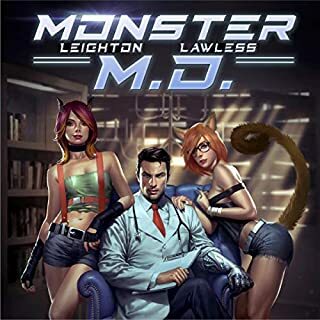 Sawyer and Kenzie head back to an old and abandoned location in the heart of her homeland, only to find that there are carbons that have been mutated or transformed into black scaly creatures straight out of their nightmares. Not fully understanding the effects of the disease, Sawyer becomes infected and must find a way to bring the war to Coleman in order to save not only the ones that she loves, but also herself from turning into one of those hideous, carnivorous reeks. Time and power are against Sawyer in every way imaginable, but the stars tell all. Do the stars show her imminent death and the death of all of those who she has fought so hard to protect? Eversley has a superb story-line, filled with creativity, world-building, and originality. We’ve all heard and seen science fiction novels and movies, but Eversley brings a new twist to the fold. The pace is quick and steady from the beginning and carries through the entirety of the story. She provides that urgency to understand the depth of extinction the human race faces. 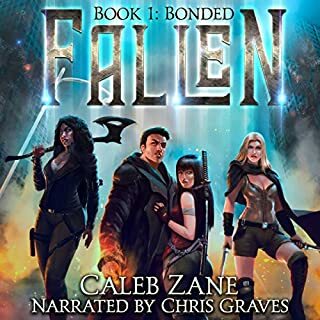 Since this review compliments the audiobook, both narrators did fantastic work with voice relay. The scenes were vivid for the imagination and characters were credible. 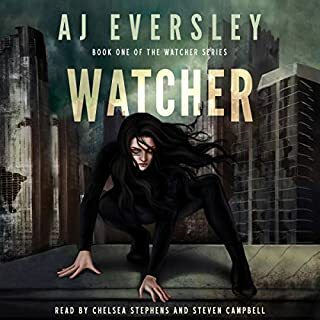 This is the third and final installment in the Watcher Series, so it is recommended that readers do read or listen through the first and second installments before diving into the this final one. If you are interested in action and science fiction, this may be a perfect fit. 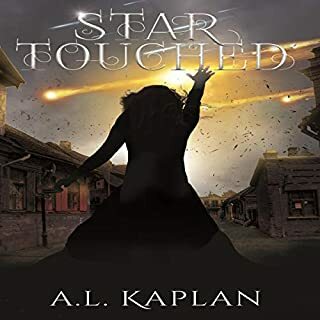 An audiobook was provided to Turning Another Page by Audiobookworm Promotions and in no way affects the honesty of this review. 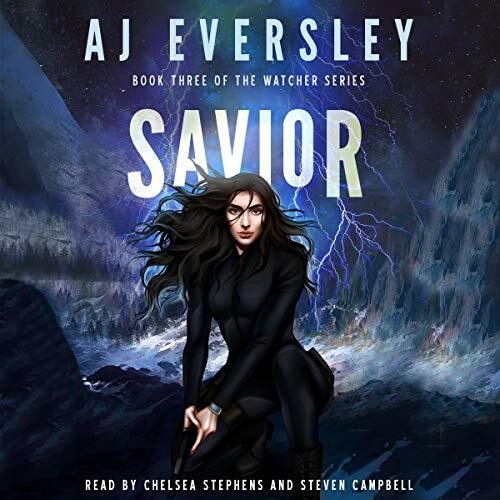 We provide a five-star rating to Savior by AJ Eversley. Too much teen angst; return to saving the world! Note: This is Book 3 in the series and you really need to experience the first 2 books in order to enjoy this story. I liked this book better than Book 2 (Carbon), which had a lot of teen angst in it. Book 3 grabbed me right away and kept the action coming. Even when the plot devolves a bit back into teen angst near the end, there’s so much action going on that I had to ride it to the end. I had to know what happened, who lived and who died. Kenzie is back in Sawyer’s life but he’s a danger. The evil Dr. Coleman (who remains a one-dimensional character until the bitter end) has a hold on Kenzie which can force him to violent actions against his own will. Everyone treats Kenzie like a beaten, distrustful, dangerous dog on a leash. I really enjoyed the ice bears and the Mountain Man clans as well as the Ladies of the Forest. I think their unique live styles gave an extra dimension to the story. Plus, who doesn’t want an ice bear companion while riding in to battle? Max and his relationship with Sawyer develops further and the two seem quite comfortable with each other at this point. I really felt they would do anything for each other… at least until Sawyer pulls an unplanned betrayal of Max’s trust. While that does happen towards the end, we still had like 3 or 4 hours of the book left in which the love triangle and all that teen angst had time to play out. I was invested in the characters at this point, so I had to finish it. Yet…. yet…. argh! I really dislike love triangles and we’re busy fighting for humanity here – shelve the teen angst! So, yeah, I had mixed feelings about how things ended. I liked how some things carried out but was let down by all the added and unnecessary drama of the love triangle. I give it a 4/5 stars for Book 3 and 3.5/5 stars for the trilogy. 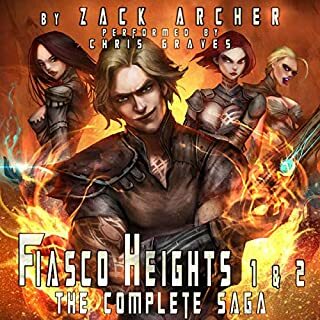 The Narration: Chelsea Stephens has the bulk of the narration for this book and she’s great with Sawyer’s voice. I especially liked her voice for the demented Dr. Coleman and for young Lina. Stephens also did great with all the emotional scenes, even if some of those scenes were silly added drama. Steve Campbell had a few scenes here and there where he voiced Max or Kenzie. He did these well. There were no technical issues with the recording. 5/5 stars. This is the final installment in this series. Sawyer, Kenzie, and Max seem to be the only ones capable of riding the world of the terrible looming shadow of Coleman. There are dwindling hopes, but not everything is lost. I was looking forward to the resolution of this series, and waiting for Sawyer's decision about her love triangle. I have to say that the outcome was a bit predictable on that point, but it does not make it less satisfying. The characters evolved along the series, so by this time we have a clear image of them and know more or less what to expect. I could feel Sawyer's desperation, exhaustion, and anguish, which made me care for her and her companions. All in all, it was a good ride, but somehow I was not able to feel the urgency the author wanted to transmit. We were informed at the beginning of the series that almost everyone was dead on Earth, save for this little group, but I couldn't help by thinking that there must be other little groups somewhere else, and that Coleman was too set on killing Sawyer and her little group like there was something personal about it. The narration was again quite good, with Chelsea Stephens and Steve Campbell transmitting the characters emotions and bringing them to life. Both narrators did a fantastic job, and it was an excellent experience for the listener.